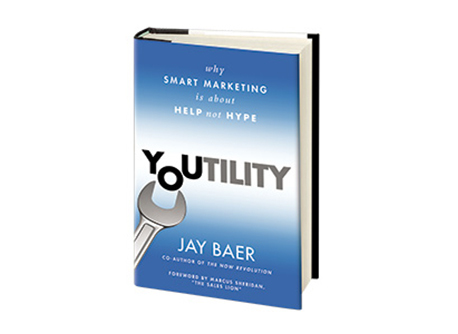 Jay Baer wrote an outstanding book on content marketing called Youtility. Baer bases his approach to marketing on the realization that in the information age consumers buy online from sellers they trust, and they trust those sellers who help them by giving them tons of high-quality, useful, free information. It takes a lot of work to create this information, but it’s infinitely scalable once you create it; it costs you nothing more to help out the next person. 1. How can I help people use “self-serve information”? Make my site fun, searchable, organized in multiple ways, and tagged and archived well. Link to related topics. Purposely write on related topics to make linking easier, etc. 2. What answers/information are people looking for online that I can give? 3. What are the issues, topics, or key words people will search? How do I plan to use this brainstorm? I have already outlined a long list of Scripture passages I want to write about, and I’ve categorized these passages by philosophical content. I can use the above list to solve the problem of relevance—to show people that my ideas about Scripture and philosophy will help solve their problems. I’ll spend some time lining up these topics with Scripture passages. That will give me a list of individual blog posts to write. How can you use this brainstorm? You could make your own list of problems you know how to solve. Or just use mine. I want to make your life easier. Feel free to take the concept and run with it.